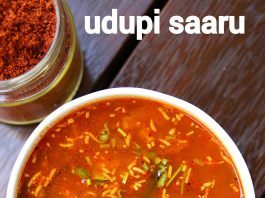 udupi saaru recipe | udupi tomato saaru | udupi rasam recipe with detailed photo and video recipe. 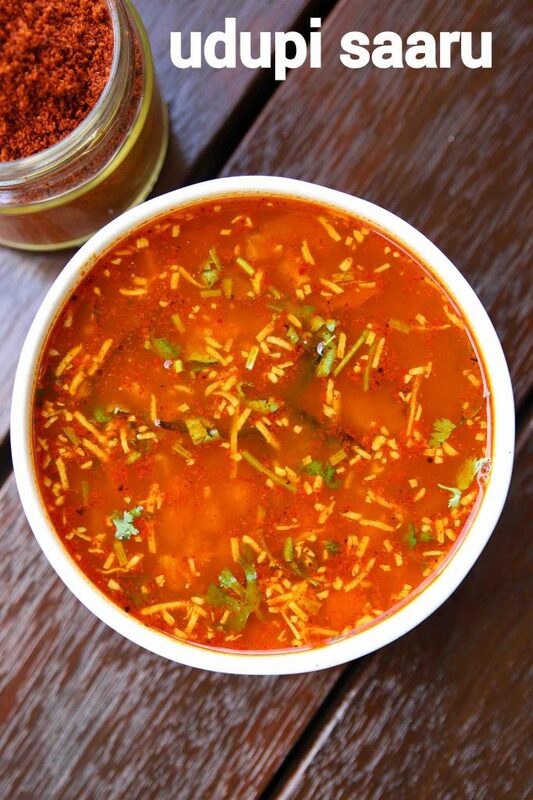 a popular rasam recipe made with a combination of spices, toor dal and tamarind extract. it hails from the coastal place of udupi and is known for its taste, simplicity and spice aroma. it is generally made and served with hot steamed rice for lunch and dinner, but can also be served as a soup with hint of yoghurt. 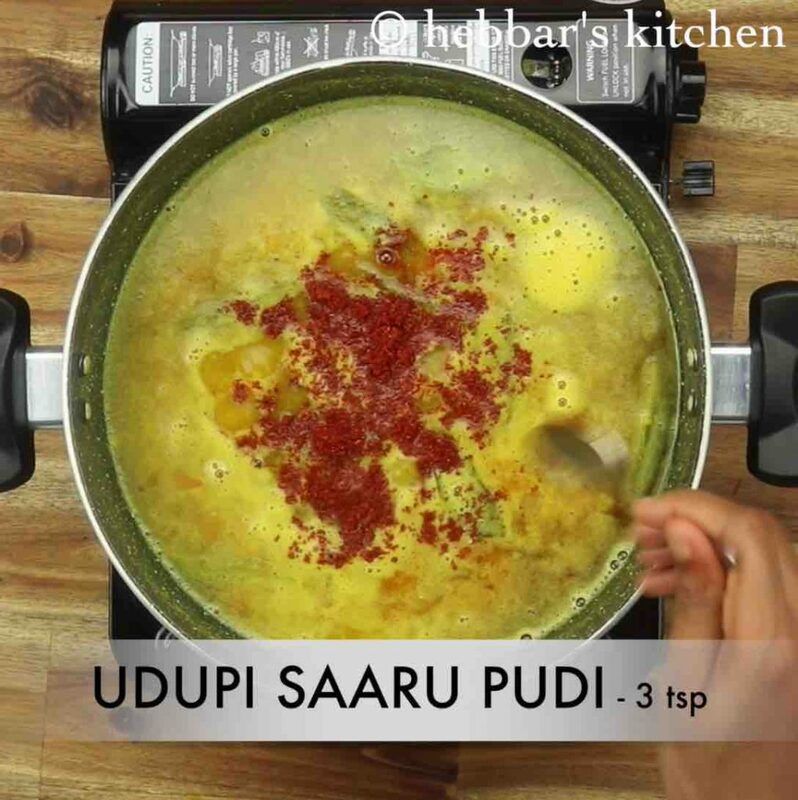 udupi saaru recipe | udupi tomato saaru | udupi rasam recipe with step by step photo and video recipe. 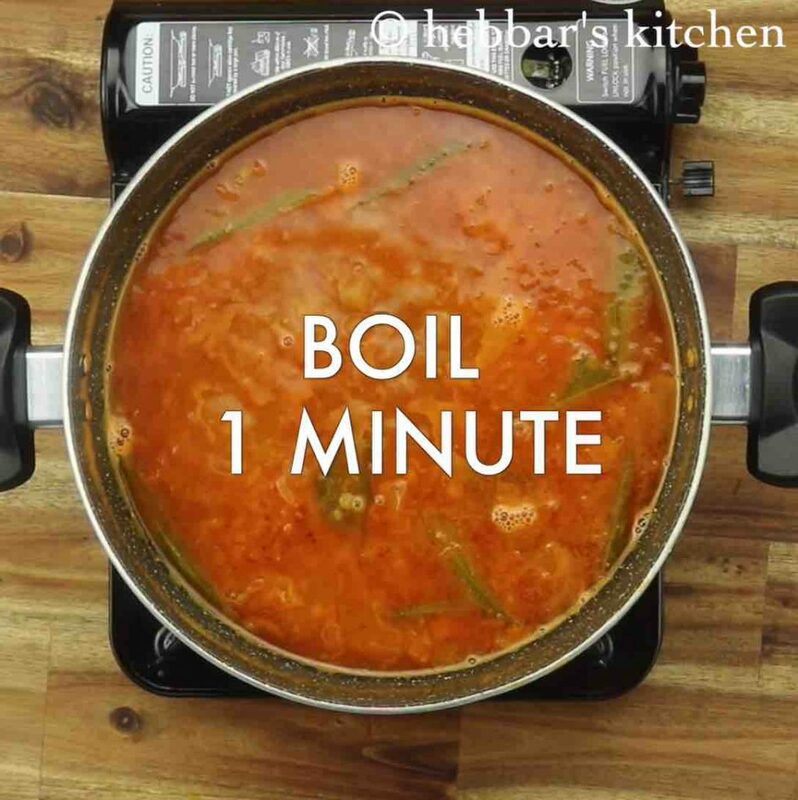 rasam or saru recipes are essential in every soutn indian meal before sambar takes over. evidently, it has been exposed to several local variations according to the local taste buds. 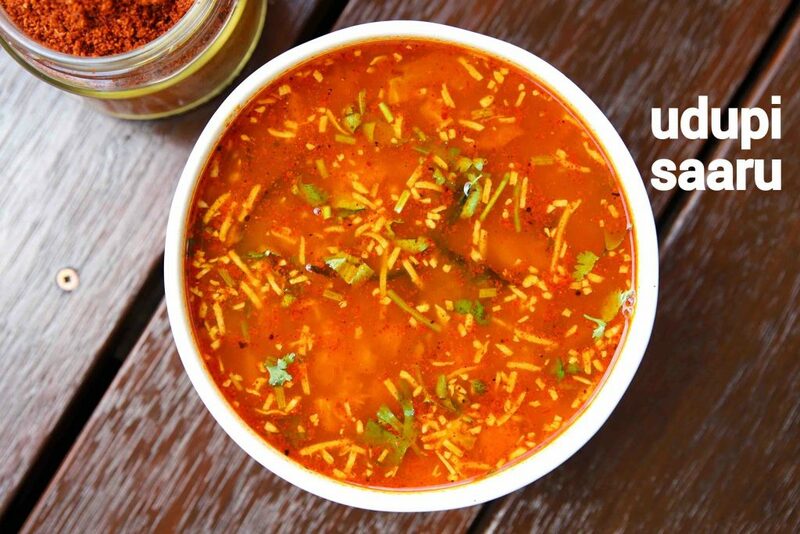 one such humongous popular rasam recipe is udupi saaru recipe, made with an aromatic and balanced blend of spices. the recipe for udupi saaru is very simple and no rocket science involved in making a flavoured and aromatic rasam. 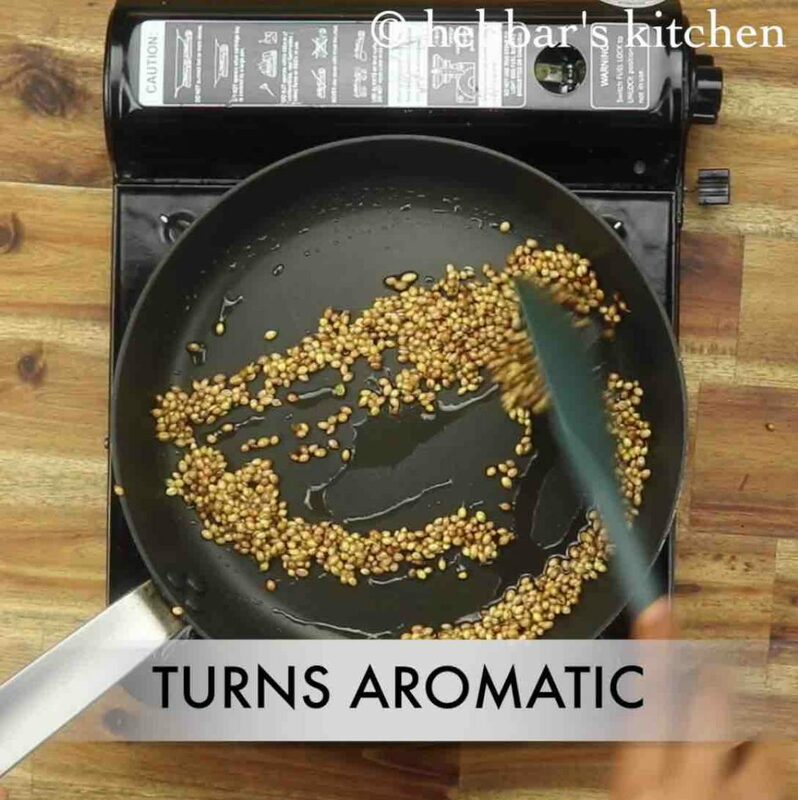 having said that the key for this recipe holds in its saaru pudi or rasam powder. it is an age-old secret held within the brahmin families of coastal town udupi, karnataka. 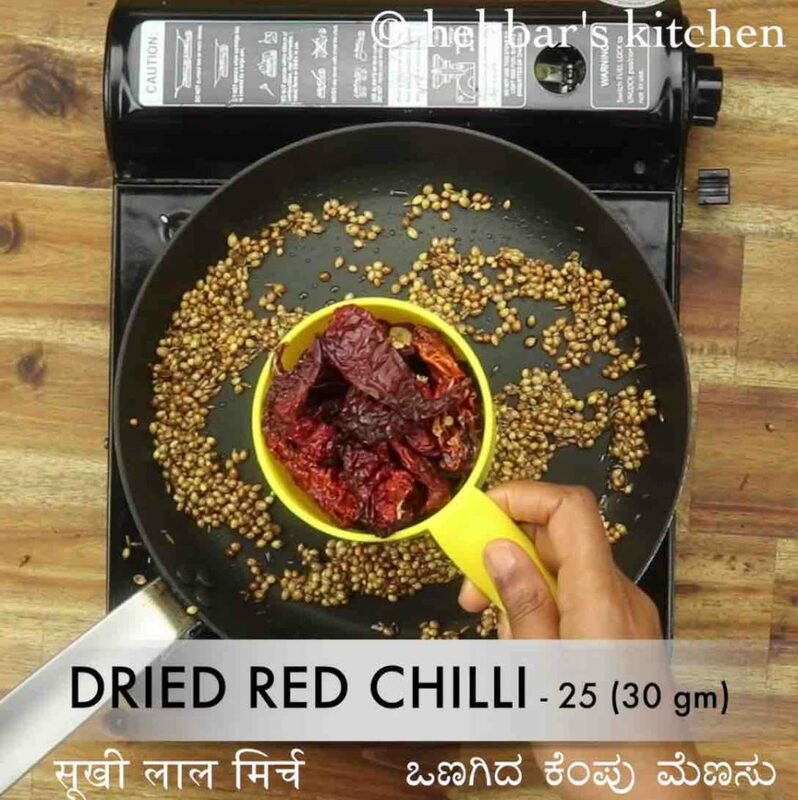 the perfect balance of spices and chillies results in a bright red coloured powder which makes this rasam a famous curry. 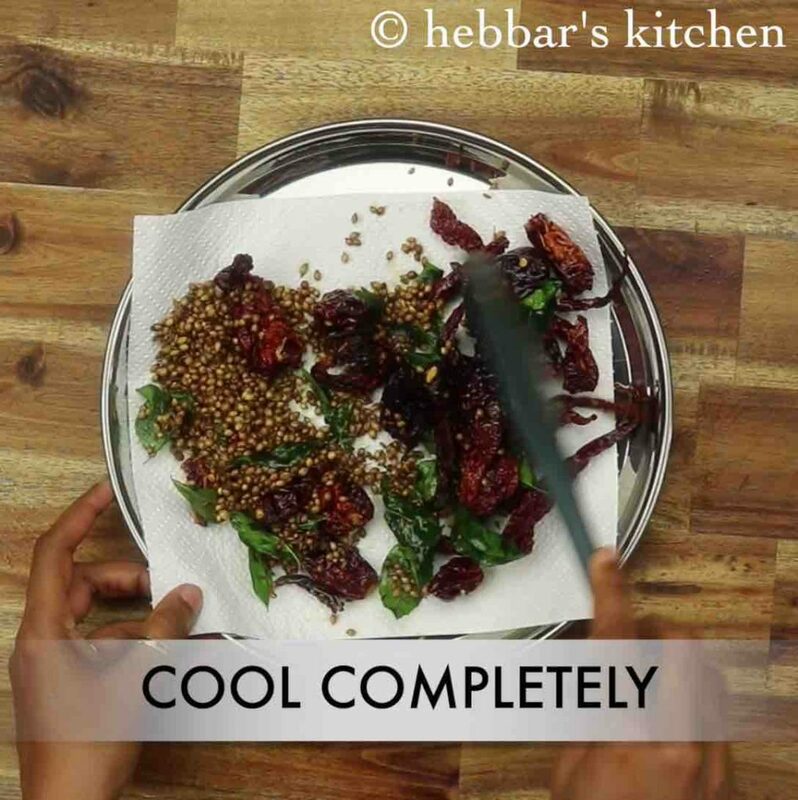 in this recipe post, i have showcased both including how to make rasam powder and rasam from it. 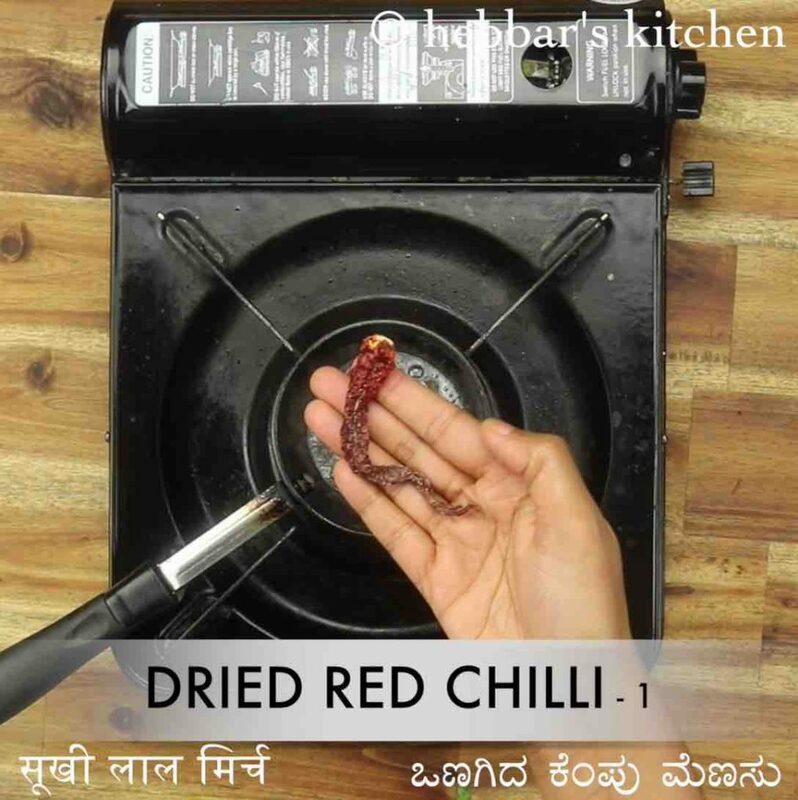 having said that if you have access to store-bought udupi saaru pudi than you can skip the instructions for rasam powder and directly jump to saaru recipe. 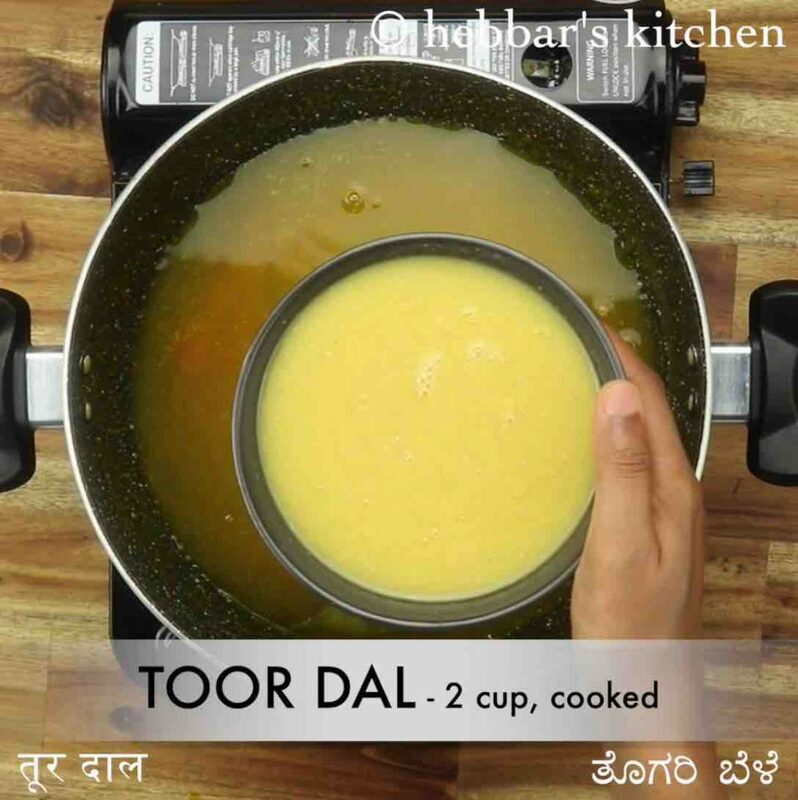 as previously mentioned, the recipe for udupi saaru recipe is extremely simple, yet some tips and suggestions. firstly, do not compromise on the recipe ingredients list for rasam powder. each ingredient places an important role and hence recommend to make the powder when you have access to all the listed ingredients. secondly, tamarind extract has to be boiled for a minimum of 10 minutes in low flame with tomato, green chilli, turmeric, salt and jaggery. 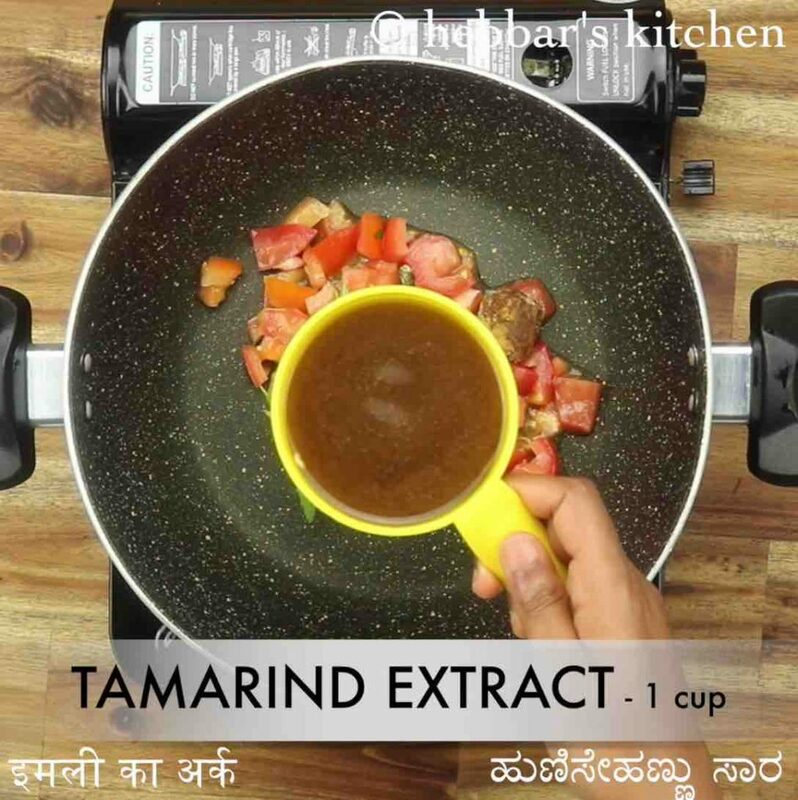 do not take a short cut with tamarind boiling step as it essential for shaping this rasam taste. 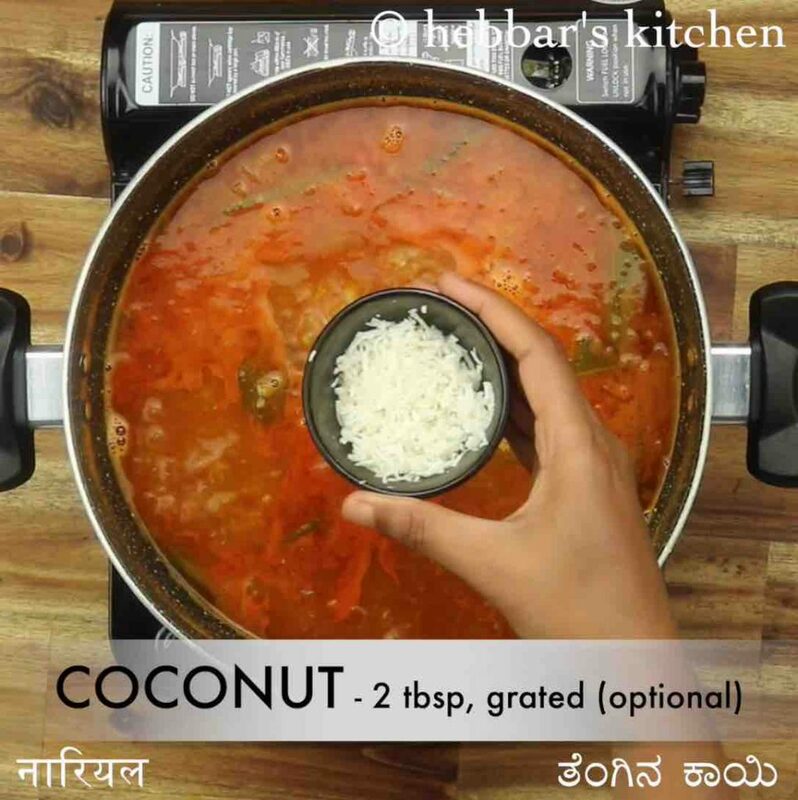 lastly, topping the rasam with grated coconut and tsp of ghee is optional. but it does add a lot of flavour and taste to the recipe. 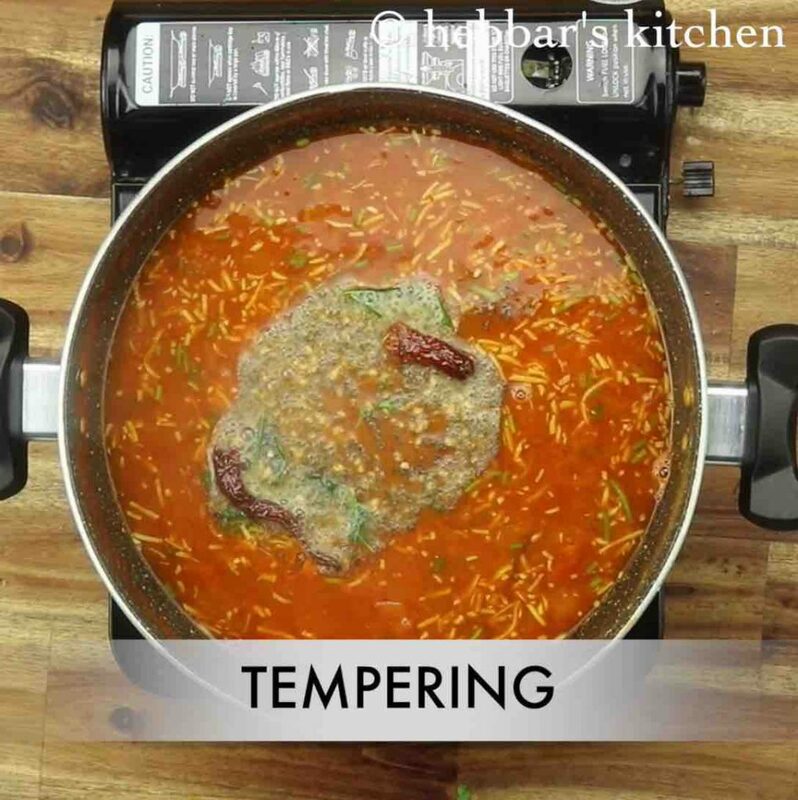 firstly, in a large kadai add 1 tomato, 1 chilli, 1 tbsp jaggery, ½ tsp turmeric, few curry leaves, 1 cup tamarind extract and 1 tsp salt. 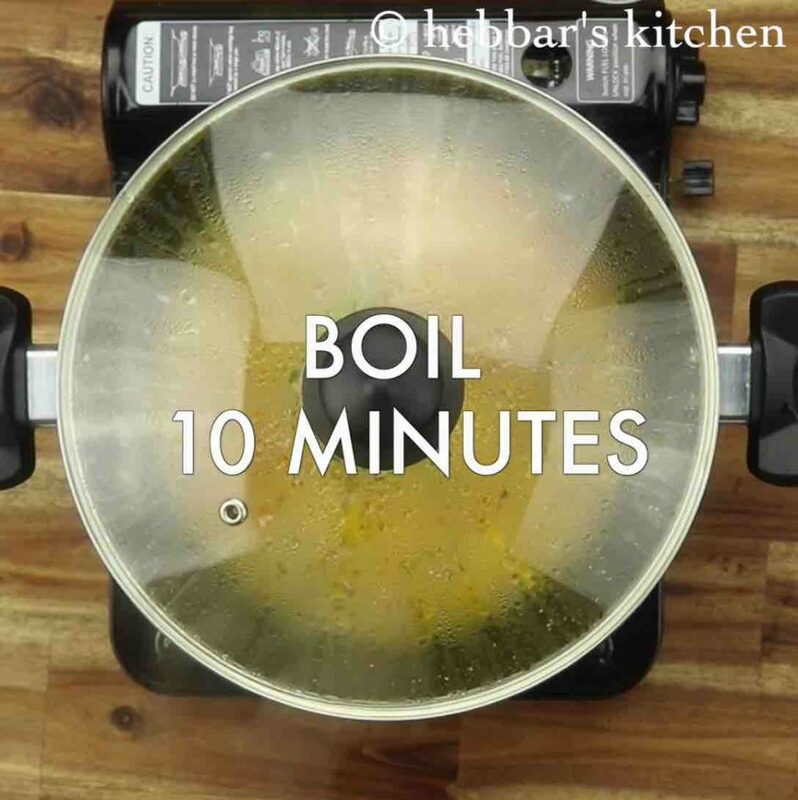 cover and boil for 10 minutes. boil until the tomatoes turn mushy and tamarind is cooked well. 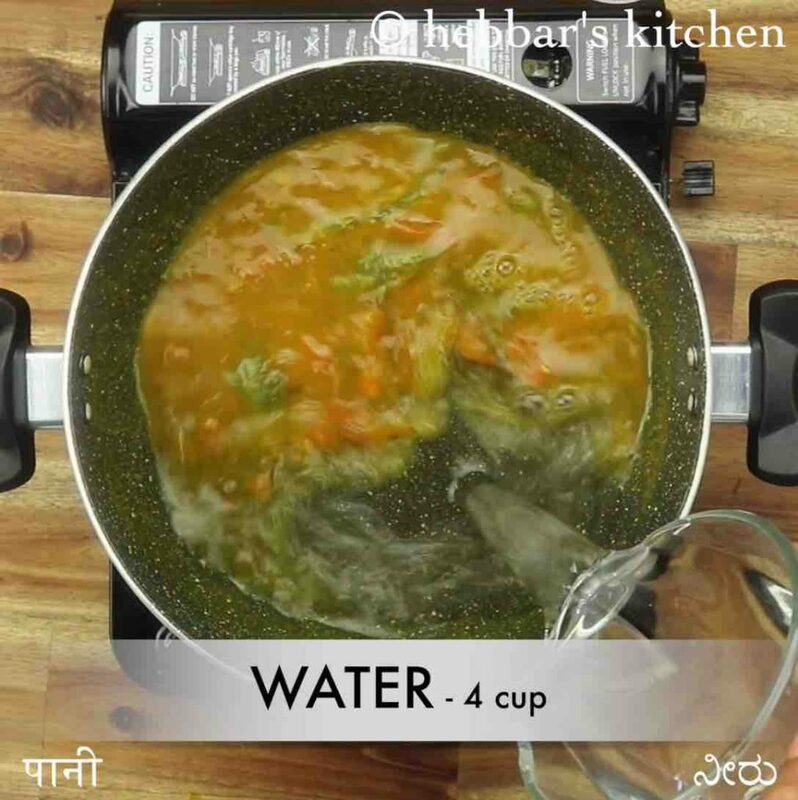 further, add 4 cup water and 2 cup toor dal. further, add 3 tsp prepared udupi saaru pudi and mix well. boil for a minute making sure the flavours are well absorbed. do not over boil once the saaru pudi is added. add in 2 tbsp coconut, 2 tbsp coriander and mix well. finally, enjoy tomato saaru with hot steamed rice. 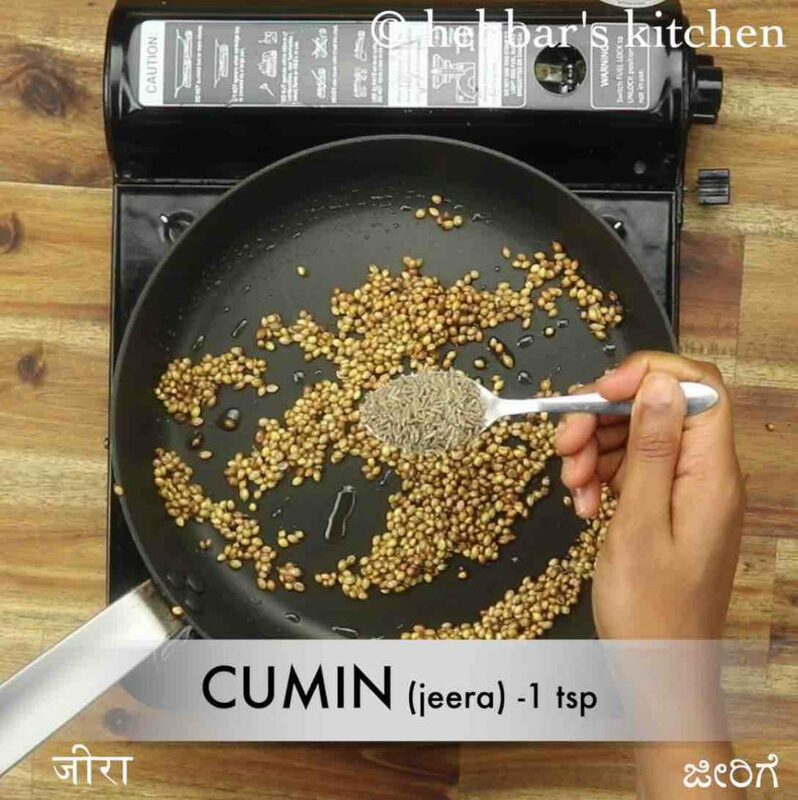 firstly, in a large tawa heat 2 tbsp coconut oil and add ½ tsp methi, ¼ cup coriander seeds. roast on low flame until the spices turn aromatic. now add 1 tsp cumin and roast until the spices turn aromatic. further add 25 dried red chilli, few curry leaves and ¼ tsp hing. 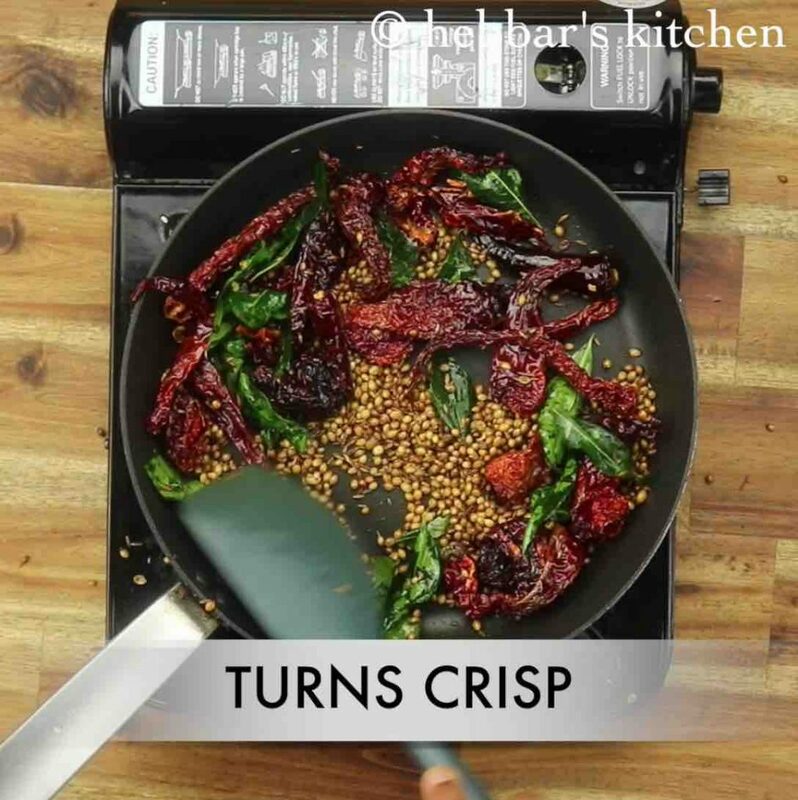 roast until chilli puff up and curry leaves turn crisp. transfer to the plate allowing to cool completely and absorb excess oil. now transfer to the blender and blend to a coarse powder. udupi saaru pudi ready, store in an airtight container or use to prepare udupi saaru. 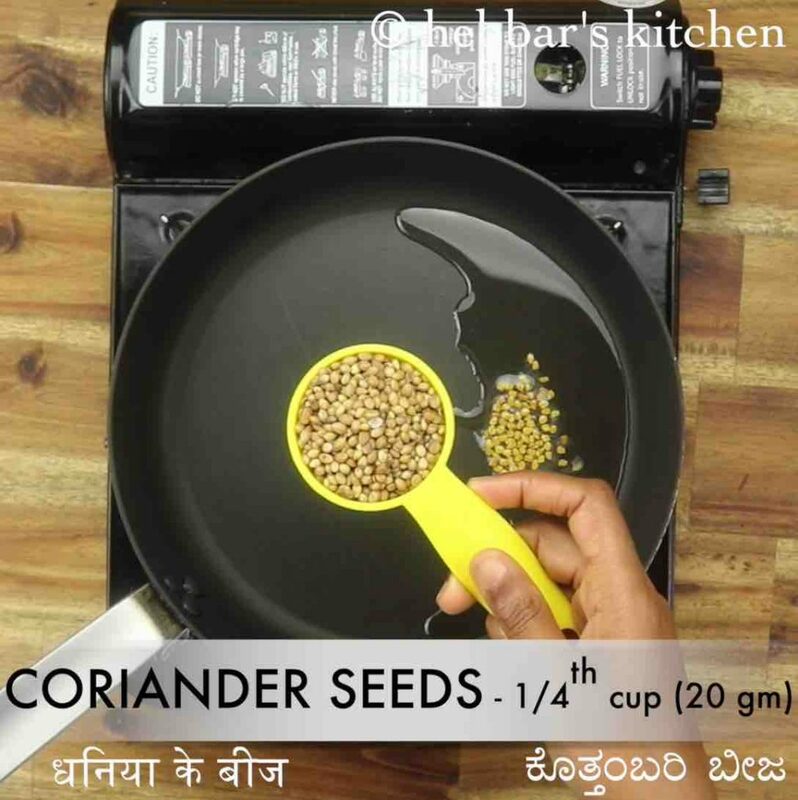 now prepare the tempering by heating 2 tsp coconut oil and splutter 1 tsp mustard, 1 tsp urad dal, 1 dried red chilli, pinch hing and few curry leaves. 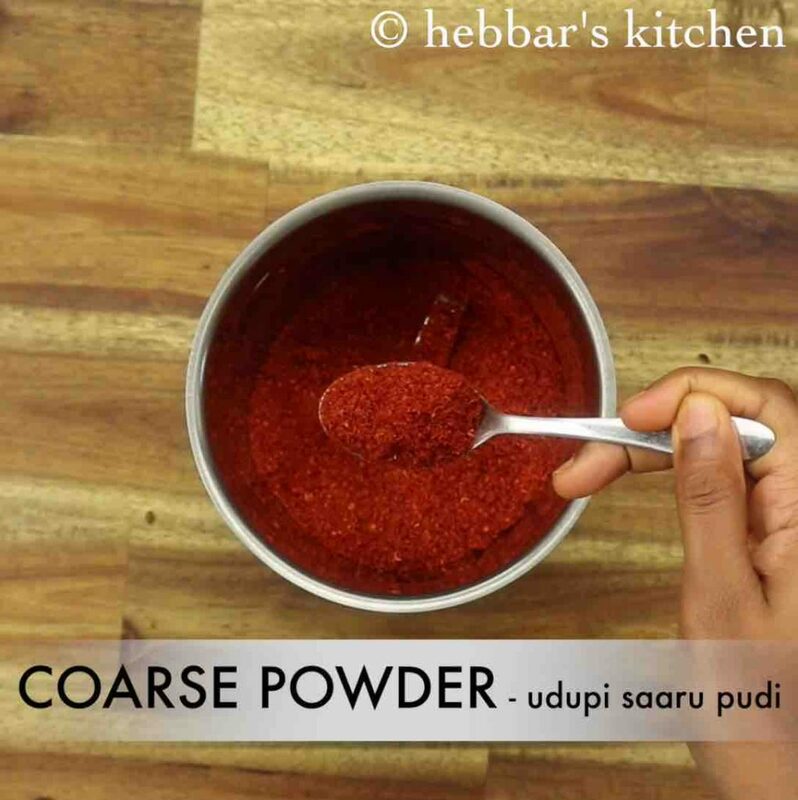 additionally, you can store the saaru pudi (rasam powder) for at least 3 months in an airtight container. also, adjust the amount of saaru pudi, according to your preference. finally, udupi saaru recipe tastes great when prepared with coconut oil.